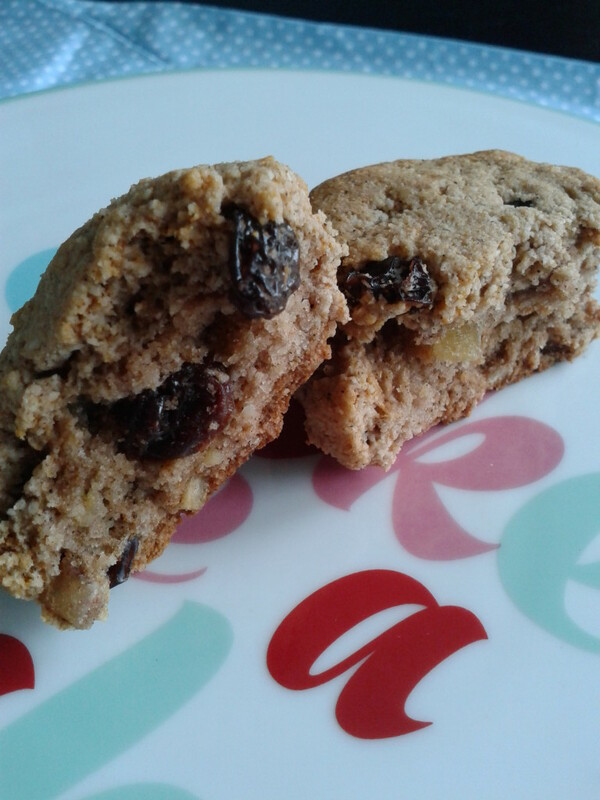 Gluten-free, Dairy-free Hot Cross Buns part 1 | The Free From Fairy. OK, so this post will have to be a quick one. The sun is calling me loudly through the window; willing me to leave my computer and stick my head underneath it! I am not going to argue with it…but first I have to share this recipe with you! It is ‘part 1’ because I plan to do plenty of hot-cross bun experiments over the coming weeks…so keep your eyes peeled! I cannot take credit for this one! The credit needs to go to Vicky at Gluten Free SCD and Veggie. 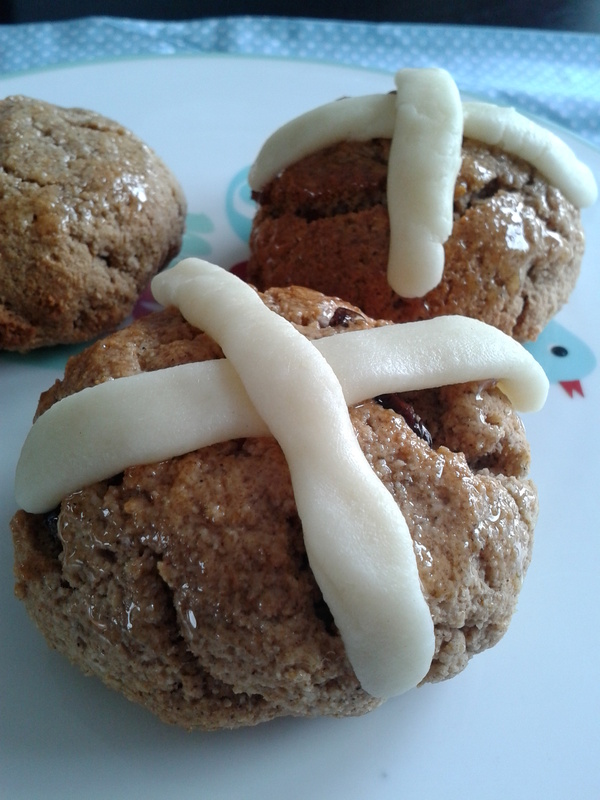 She came up with a cracking little recipe for grain-free, gluten-free, dairy-free hot cross buns. Of course, me being me, couldn’t just make them! No, I had to do a bit of fiddling…not much because her recipe is superb! Anyway, this is what I did and I warn you now. These will not hang around for long! They are super addictive…but hey, they are almost healthy??! Place all the dry ingredients in a bowl (including the fruit and peel) and give them a good mix. Give the mixture a good stir until it starts to come together, then give it a good squidge with your hands! Divide the mixture into 6-12 balls (depending on the size you want your buns to be!) and place on lightly greased baking trays. Place in a pre-heated oven at 180 degrees for 5 minutes, then reduce the heat to 150 degrees and bake for a further 15-25 minutes (depending on size). While baking, make the crosses by rolling out the marzipan and cutting it into 5mm wide strips. While still warm brush the buns with warmed honey, and add the marzipan strips to make crosses. Thank you for the mention & these look awesome! Hi Kirsty, it can be a bit of a pain doing freefrom cookery but it is all part of the fun! Hopefully all my recipes work because they have been tried and tested by me lots and lots of times! 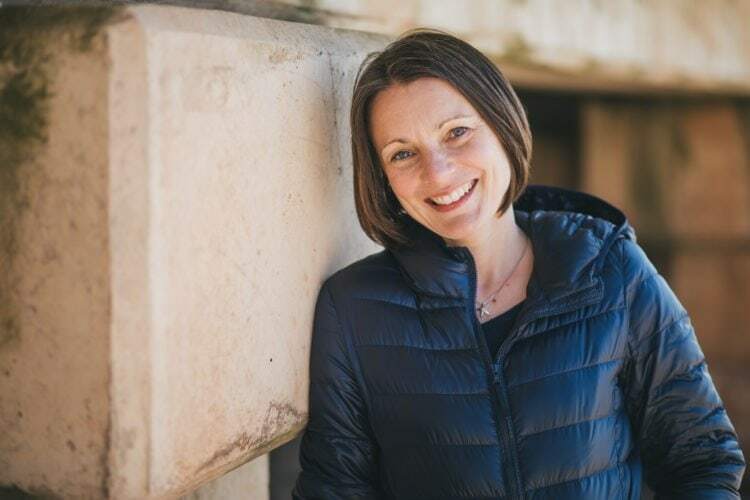 Just dropping by from ‘show us your blog’ but glad to have found you as my husband is wheat-free! 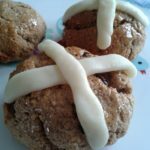 I may have to give these hot cross buns a try! This is my absolute favourite post this week. I’ve recently gone gluten free and I love hot cross buns. This post is perfect for me. I am definetly going to try making these. What a lovely comment! Thank you for stopping by…I hope you will be back again!